° All new updates with Granite Counters, new designer colors, subway tile backsplash in kitchen, white custom cabinetry in kitchen and bath as well as new bathrooms and high grade carpet! 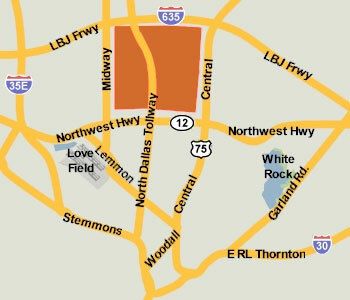 The Fountains is located in the quaint Preston Hollow area of Dallas. We offer spacious floor plans and large walk-in closets. We are located in a quiet cul-de-sac among mature, shady oak trees which will delight you each time you open your window. Be enticed by the old world charm of The Fountains. Door to door trash pick up. ° One month free! This newly constructed, boutique style community features luxurious loft style apartments in a central location. Each unit is beautifully appointed with custom home features including granite and quartz countertops, beautiful easy care plank flooring, decorator paint, lighting and ceiling fans. The open floor plan is perfect for entertaining and the chef will love the top of the line stainless steel Whirlpool appliances. Call about our specials. ° Listing Agent: Deborah Cottle, Century 21 Mike Bowman, Inc.